Tonight Michael Portillo was in Bristol again, still clutching his Bradshaw. Yes, I know it’s a repeat but every time it’s on, he says something that hurts: he visits Brunel’s Temple Meads station and eulogises about the unique cantilevered roof and then, outside, complains about the sadly neglected frontage. He is absolutely right. I have talked about this before on this blog. For years Brunel’s elegant old station has suffered increasing indignities, none of which befit the first mainline passenger station in the world. First it became the haunt of, yes, Midland trains bound for Birmingham New Street or Bath Green Park! If that wasn’t bad enough, the closure of the MR line to Bath led to removal of track and replacement as a car park. The original station has been a conference and meetings venue for some years where you can buy things like ‘affordable art’ and you can book it for parties – all completely inappropriate for such an architectural and historical gem. 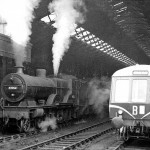 Now, though, it is likely to experience some renovation as a railway venue again as part of the electrification scheme which could see it rejuvenated in much the same manner as St Pancras. The station buildings will be sold to the City Council (yes, not good but being part of the BR residual Board has not been great either) and it will become the main platforms for the new trains arriving from Paddington (better). IKB might even nod with grudging acceptance but the new plan is part of a wider development called ‘Temple Quarter‘ that will throw up more office blocks and ‘development’ that is suppose to be about encouraging the creative industries. The BBC will apparently move there but one can’t help but wonder whether even a refurbed Brunel station will still be swamped by all that glass and chrome. It’s now all about ‘creativity’ and the digital industries and big engineering seems firmly consigned to the past. What exactly is Bristol doing to celebrate the engineering marvel that was the GWR in its own City? The answer is: nothing. Indeed a revamped station may, paradoxically, sweep some of the remaining atmosphere away. What, for example, will happen to the tramlines that survive? 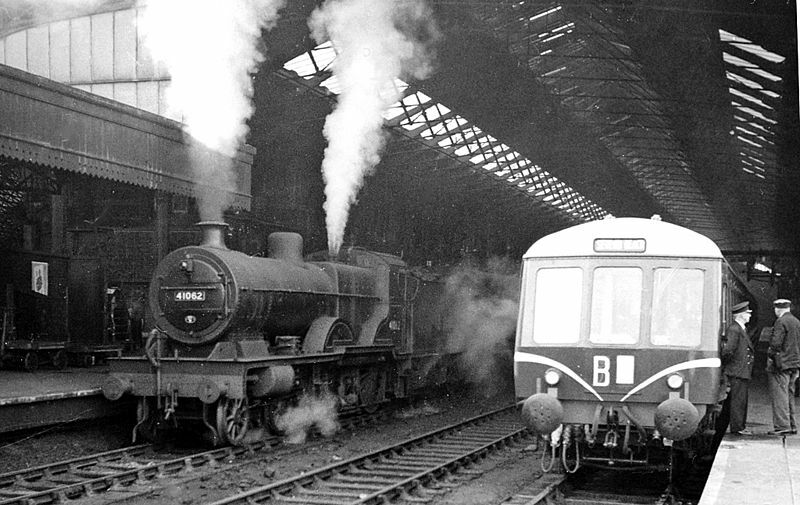 Is there no room in Bristol for a GWR heritage site? It is a popular place for steam charters and the summer Torbay Expresses are a vibrant reminder of the GWR but should there not be a GWR live steam heritage centre and museum in the city? I know where I would put it – the Bristol Bath Road shed site – but this levelled piece of land has been earmarked for years for other purposes, none of which are railway-related (and none of which have, by the way, ever been funded). It would be a perfect choice – it is even still rail connected and a stub of siding points the way to the place where the GWR and BR(WR) serviced Saints, Kings, Castles and Westerns. People love steam, it pulls crowds everywhere and it is ‘different’ where current ‘regeneration’ plans are too often homogenous, dull and anodyne. Steam is real, it breathes, and people love the romance and muscularity of its engineering. Bristol rates itself as a vibrant and innovative city. Let the funding partnerships consider a GWR railway heritage centre. It could be linked to M-Shed, it could be run by community volunteers, it would create jobs, it could bring weekend tourist steam trips to the lines around Bristol. The possibilities are almost endless.